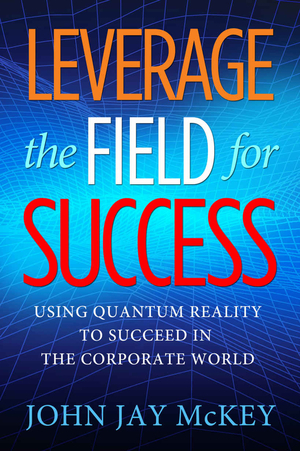 A data analytics expert has created a new way to look at success in business, both in microcosm and from a universal perspective, in Leverage the Field for Success: Using Quantum Reality to Succeed in the Corporate World. John Jay McKey invites the reader to examine work life, and indeed the whole of life, from the viewpoint of “the Field,” referencing scientific principles that have established that all matter is essentially not cells, but waves of energy. Many experiments have shown that phenomena such as shared and instant communication – as seen, for example, in the group behavior of animals before a natural disaster – travel and interact in the Field. There is no specific place in the brain where memory and other data exist, but all are carried via these energy waves. Because this wave motion – encounter and transfer – is constantly occurring, we can make use of the Field to promote positive outcomes. McKey presents scenarios illustrating the difference in influence and outcome from apparently negative situations (you may lose your job) or apparently positive ones (you’ve just gotten a promotion). Because energy expands, the expression of thoughts and feelings can influence a situation, even affecting broader, societal changes. Reflectiveness is another element of the Field. McKey equates this reflective principle to the concept of karma, asking that readers recognize its simplicity: if you have an unpleasant experience you look for ways to regain a sense of balance and positivity, just as the Field is constantly correcting and rebalancing itself. McKey has organized his book well, giving a more sophisticated, engagingly up-to-date spin on older notions, such as the power of positive thinking. He offers a variety of practical techniques for accessing and using the Field: start small, try to see the positive even within negative circumstances – this may not change the situation but will help you react in more positive ways. Remember that thoughts interconnect, so if you wish to contribute input on a work project, look for ideas that will have the farthest impact and present them quietly to a few people at a time to start the “wave” pulsing. Some of these ideas do not necessarily need the framing of quantum mechanics, as they are sound principles you’d find in other works of business self-help. However, this framing does lend the book some additional authority – so long as you are on board with the book’s general premise. It is one thing to recommend how to broach ideas in the workplace, but yet another to suggest that the mere act of sharing an idea can shift fields of thought that can have wide-ranging impact. For this reason, the book is unique in the world of business self-help. As it is aimed at people in the “corporate world,” the book is less flimsy than some books that cover this type of esoteric perspective, and contains actionable insights, even for those who might not be on board with this particular mode of thinking. McKey’s analogies based on believable workplace realities will be familiar to anyone who has ever had a bad boss, attended an emotionally charged office meeting, faced possible job loss, or felt the need to improve some aspect of his or her work life. Intelligently linking the particulars of the corporate atmosphere to the universal and essentially hopeful concept of the Field, Leverage the Field for Success provides a motivational framework that applies as much to everyday life as the needs of the workplace. Provasil Review: Is It Worth Buying this Supplement?